Now take a moment to consider the facts presented here. You will then realize why A&D’s new and original electronic pipettes, the MPA series, should be your future choice in pipettes! 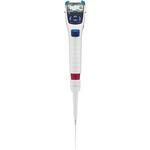 Unlike manual pipettes, dispensed quantities will not vary with each individual or each pipetting motion. Automatic operation ensures uniform accurate pipetting for both novice and expert alike, making anyone’s assays always reliable. 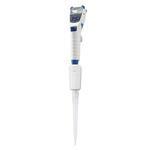 Does your thumb hurt when pipetting Operating a manual pipette requires holding out the thumb perpendicular to the hand and then pushing the plunger all the way down with a force of a few kilograms. Such irregular movement can easily cause a repetitive strain injury (RSI) in the base of the thumb as you repeat it day in, day out. The MD mode lets you divide one aspirated volume (e.g. 1200 µL) into multiple dispensings of a smaller volume (e.g. 100 µL × 12 times). Use of this function will dramatically increase efficiency when you have to deliver the same amount of sample repeatedly into microplate wells, etc. The MPA series automatically prevents error due to backlash which presents itself when the operation switches from aspirating to dispensing. You therefore need not discard the first dispensing volume as being inaccurate, as is the case with conventional electronic pipettes. Meanwhile, the finger hook that rests on your middle finger is long and curved in such a way that the pipette will remain perched in the hand even when the grip is loosened. The MPA series entails a much smaller risk of contamination inside the cylinder since electronic control produces no accidental, excessive suction of the sample. Changing the operation mode, volume(s), aspirating and dispensing speeds, etc., is simple and straightforward. 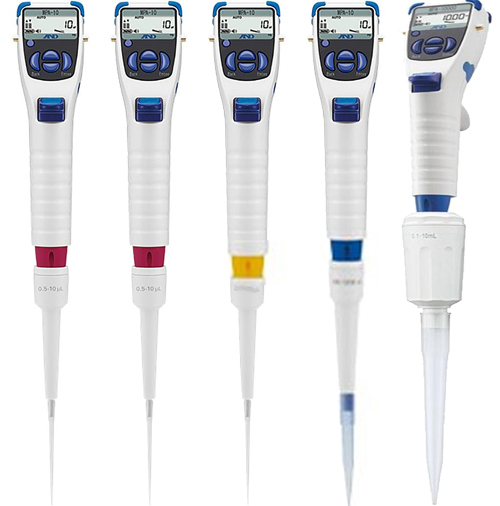 Further, up to nine combinations of these settings can be saved in the pipette for immediate recall at later times. The MPA series receives power supply from either an AC adapter or lithium-ion rechargeable battery (1,800 pipettings guaranteed on a full charge). You can also use the pipette without any hitches while charging the battery at the same time via USB connection.